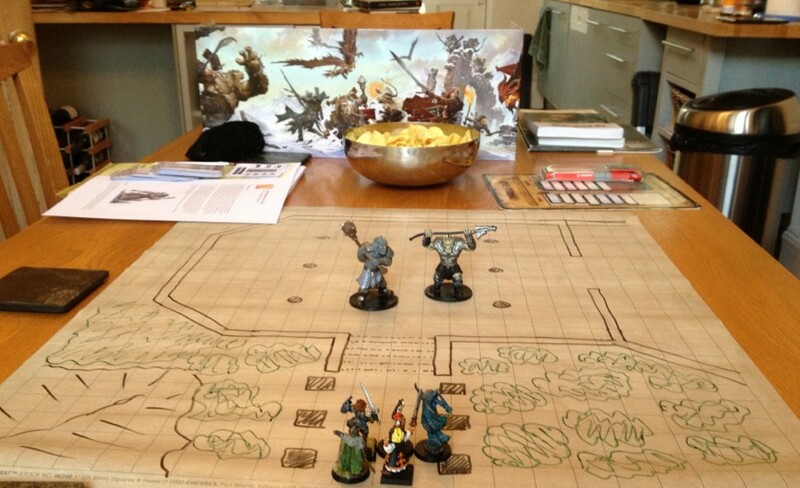 In last night's 4e D&D game we managed to fit in two big combats, some roleplaying and some exploration. This is unusual for us - we often struggle to get through two encounters in an evening session. 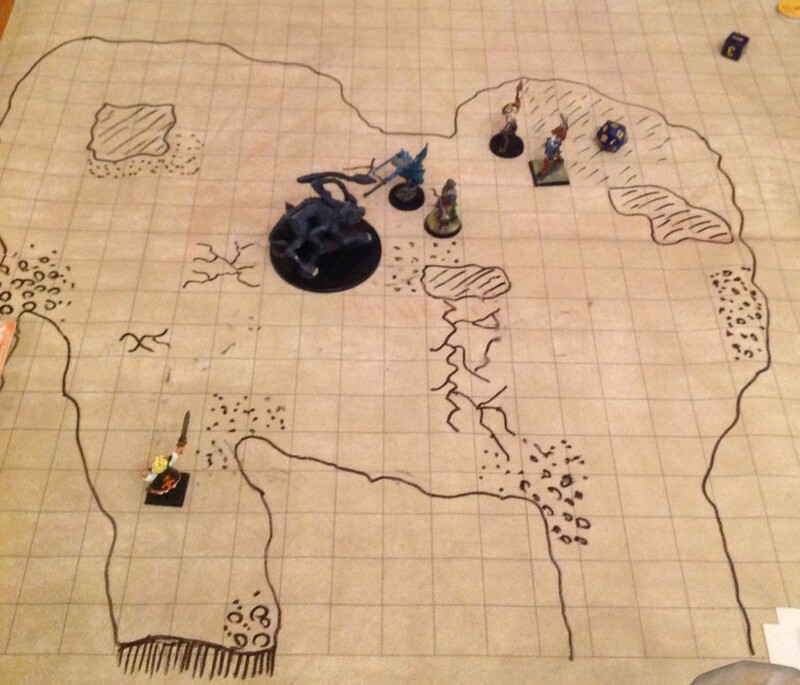 Using the escalation dice from 13th Age speeds up combat, but I think we saved a fair bit of time because I drew the two main encounter areas before the game on battle mats. They also looked a lot better than my usual scrappy drawing under pressure. Obviously this only works if you know the encounters are going to happen, but in this case I did. It is shocking to me sometimes how much game time our group can burn just going shopping. Yep, I try and encourage them to do that via email etc in between sessions. I think it was worse when we played our 3.5 campaign as there was more of an assumption that magic items were readily available. But shopping was always Gavin's favourite part of playing. I think he misses it and we should roleplay every shop, tavern and public latrine that we visit.